I followed the guide (http://dev.px4.io/airframes-adding-a-new-frame.html) to add a new custom airframe configuration). How do I select in QGC? I do not see this custom airframe appearing in any dropdown box when selecting airframe. Do I have edit a configuration file somewhere? Also, can I make this airframe configuration the "default" on boot? QGroundControl loads ~/.config/QGroundControl/PX4AirframeFactMetaData.xml. I'm not sure what the location is on windows. If you compile PX4, it generates an airframes.xml file. If you replace the original with the compiled one, it should be visible in QGC. The simple way to do this is to flash the binary through QGC, which updates the file. I am compiling on my linux development workstation while I am running QGC on a ruggedized windows laptop (which will be brought outdoor for flight testing). Thanks all for your fast response! So I compiled the firmware on Linux, copied the binaries to the windows laptop (which will be running QGC). Then, I flashed using the compiled firmware using QGC. After applying and restarting, the entry appeared on QGC! As for Bart's suggestion, I think the file resides in User\AppData\Roaming\QGroundControl.org. This file is generated by uploading the custom firmware as detailed above. Hope it helps. Perhaps @LorenzMeier can add a note about it in the dev guide. Maybe I'm new but this wasn't too clear. hi,gay. can the new airframe you add work correctly? I have not flown it yet, but in ground test (in MANUAL mode) the passthrough for the servo signals works as expected. @LorenzMeier You mentioned "flash the binary through QGC". Do you mean .px4 file or .bin file? If .bin file, how to flash it? Thanks! I flashed using the px4 file in /build_px4fmu-v2_default/src/firmware. Can someone explain exactly which files are needed? I put firmware_nuttx, firmware_nuttx.bin and nuttx-px4fmu-v2-default.px4 in the same directory (and the flash seems to work), Does it need any other files/libraries? I think only nuttx-px4fmu-v2-default.px4 is needed. It works for me. QGroundControl loads ~/.config/QGroundControl/PX4AirframeFactMetaData.xml. 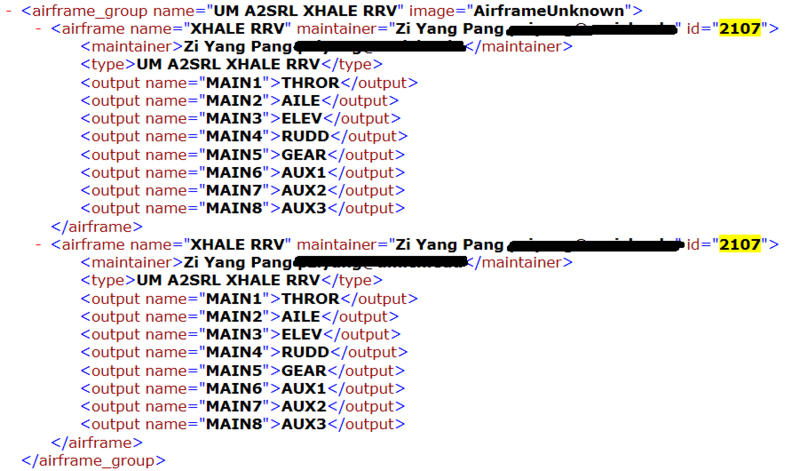 I'm not sure what the location is on windows.If you compile PX4, it generates an airframes.xml file. If you replace the original with the compiled one, it should be visible in QGC. This piece of information in the Airframe development guide would have been very useful! Well, it also works for me if I upload the .px4 file through QGroundControl. You just have to make sure to restart QGroundControl after you flashed the new firmware, otherwise it doesn't show. I upload that with custom firmware option in QGC, close, and reopen. Still no option use my airframe. I did see that the MetaDatafile does NOT include my airframe after flashing. are you flashing from linux or windows? Restart QGC. It should be there. I must be missing a step previous to these but I am not sure what it could possibly be. There don't seem to be that many steps in this process. I have two operating systems on my laptop, LInux and Windows. I have tried building and flashing in Linux. I also tried building in Linux and flashing on my Windows version of QGC just to try duplicating your process exactly. The new airframe never shows up. The init.d file has a unique name, unique type, unique mixer file. What else am I missing? Teammate figured it out! 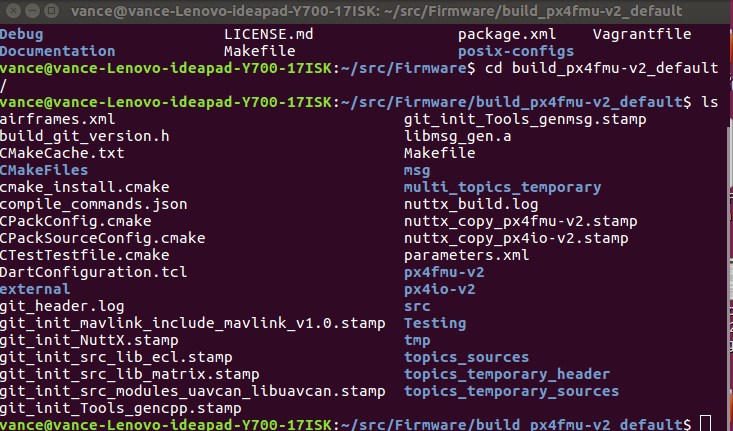 I don't know why, but it was necessary to delete the build folder before running make px4fmu-v2_default. 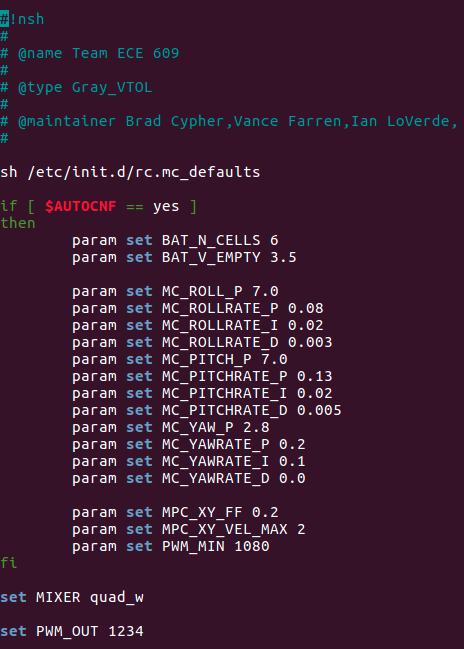 This fresh build included the new init.d file.